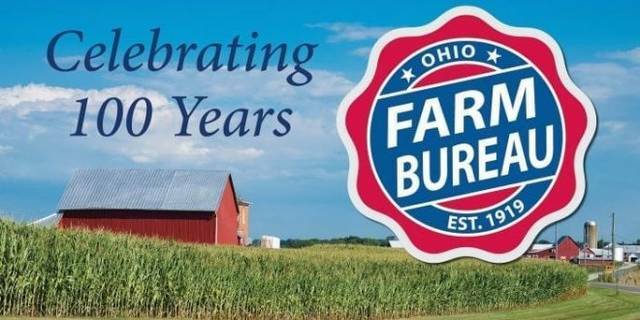 COLUMBUS — Ohio Farm Bureau is gearing up for its 100th anniversary in a major way, and the year-long celebration will include lots of ways to join in the fun. Ohio Farm Bureau was founded on Jan. 27, 1919. The centennial celebration officially kicks off at the 2018 annual meeting Dec. 6-7 in Columbus. The Chase Bryant concert will be Dec. 7 at 8:30 p.m. in the Columbus Convention Center. This is a private, members only event held at the conclusion of OFBF’s annual meeting. Bryant is a Texas native and was named one of the “Best Things We Saw” at CMA Music Fest 2014‚ by Rolling Stone. The singer/songwriter/guitarist lists influences ranging from Merle Haggard to Tom Petty. Farm Bureau members can visit ofbf.org/centennial for soon to be released concert ticket information. The celebration includes a raffle for a Henry Big Boy 44 magnum, a Henry Golden Boy 22 long rifle and a Ruger rifle—American Farmer Edition. Raffle tickets go on sale in September and the drawing will be held at annual meeting. An additional Henry rifle will be sold at auction during the annual meeting.